I would never have self-published my novel, though, if respected authors hadn’t paved the way. At the start of 2011, self-publishing a novel was viewed as admitting you weren’t good enough. Now, although there’s still a lot of stigma, those attitudes are changing. Nail Your Novel, at 40,000 words, again had great feedback. But it’s too short to be profitable for a conventional publisher. I didn’t want to make it longer because one of its virtues is its brevity — it’s just what you need to get the job done. I was building a platform with my writing blog, so it was natural to self-publish. With your novel, you serialized it into four sections. What was the logic behind that? Would you do it again? Would you recommend it to others? 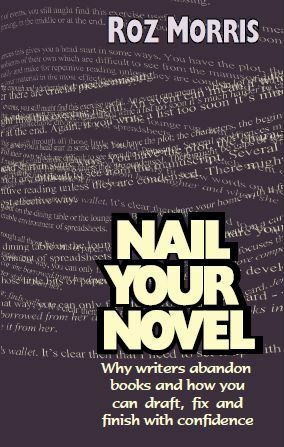 My platform is a writing advice blog, Nail Your Novel, (http://www.nailyournovel.com). That was perfect when I was releasing my writing book, but those readers might not share my tastes in fiction. I wanted to offer the book at a tempting price, but wasn’t prepared to throw it away at 99c. So I hit on the idea of serialising it. Each chunk was big anyway — about 25,000 words — so readers got a decent amount for their money. It was also a lot of creative fun — I gave each episode a title – The Red Season, Rachmaninov and Ruin, Like Ruby and The Storm. But you can’t just cut a novel up willy nilly. Each episode has to have an arc and end on an extra twist. Fortunately I like a tight structure and pacy writing, so it was a natural fit for my style — but not all writers will find it suits them. Would I do it again? At the moment it’s a fairly new way of presenting a novel. Readers went along with me, for which I’m grateful. But most of all, it fitted my material — it would be terrible to ruin a novel for the sake of getting a bit more money. Writers are living in exciting times. We have Kindle and we can support our publishing with instant buzz on social media. We can try new ways of presenting our work and see what happens. The only rules, I think, are ‘don’t ruin your novel’ and ‘do give the audience the best possible experience you can’. Your freelance work as a book doctor gives you lots of experience helping improve other people’s work. How did that influence your writing and your approach to publishing? I love book doctoring. We all have unique strengths, unique blindspots — and unique ambitions. Especially ambitions — a lot of beginning writers have very creative ideas they don’t quite know how to execute, but they have a go anyway. That’s so exciting for me as an editor. I have to mine my own understanding of the craft to help them. That also spurs me to be more original. It certainly does influence my approach to publishing. I know a book can be 90% perfect, but the rough 10% can make it seem a lot worse than it is. Although some writers are in danger of editing for ever, there is usually more that can be done to make the book really sing. I’ve learned to listen to very subtle alarms. If something feels off, it probably is. I ask myself if I would let this go in someone else’s work? The answer is usually No, and so I mustn’t in mine. Editing the work of others has made me self-edit more ruthlessly. What steps did you take before publishing to get feedback on the quality of the story? With My Memories of a Future Life, I also had a lot of critical distance — a break of about 2 years. It was as though I was editing someone else. The novel was already polished, but I’d always expected it would have one last round on the workbench once it found a publisher. When I picked it up again to split it into parts, I decided the story could be sharper and ended up shedding 50,000 words. Then I have a trusty, expert crowd of beta readers. You can’t do this without good editorial input and critical distance. And the dedication to put the hours in. Experience helps, obviously — because of all the novels I’ve had published I’m well aware of my blind spots. The less experience you have, the more you rely on your trusted experts. People say my novel is easy to read, but it was not straightforward to write — and inexperienced writers often underestimate the work involved. How did you find an editor to work with for the project? What tips would you offer for others who are looking for an editor? In a normal publisher you have a content editing stage, a copy editing stage (nitpicking the details like whether someone has a beard) typesetting and proof reading (checking the typeset pages). This might be separate people or all done by one person. Having said that, I did it myself. But that’s because it’s been my other job for 20 years — producing books, newspapers and magazines. I’ve commissioned whole books and their covers, copy edited, proofread, passed for press, trained people — and run editorial departments. I’ve also, rather boringly, been given industry awards for it — so all in all, producing books is second nature. How do you find a good editor? Make sure they’re professional and can prove that. There are a lot of people setting themselves up as editors who are chancing their arm — they don’t know what they’re doing. Then the considerations are different for the separate phases of editing. For content editing — the artistic, critiquing stuff, choose someone who works in your genre and is in tune with your vision. Before publication? With my novel, one surprise was how long I would want to spend editing. When I started I thought it would be a nip here, a tuck there. When I last put it to bed I had a looser style but in the intervening years it’s become tighter and my voice has become stronger. I could have left it as it was but it’s the launch pad for my fiction career as me. So I wanted to make a good job of it with the best I have now. I think an indie author can never be too careful about quality. It’s not a practice run, it’s public. Your book will be out among paying customers for ever. After publication? With Nail Your Novel, my biggest surprise was how popular the Kindle edition was. I got into Kindle by accident — I’d used Lulu and they deleted my Amazon listing by mistake. People had been nudging me to put it on Kindle so I thought I’d give it a try. That was the best move ever. Whatever you might think of Amazon’s monopolising tactics, Kindle is a great way to shop — and indie titles are just as discoverable as conventionally published books. After I published my novel I suddenly had a lot more blog subscribers! It was as if I’d spent so long talking the talk — now I finally proved I could walk the walk as well. What’s been the most challenging part of the process? Is that different from your experience with traditional publishing? Marketing is an enormous challenge. If it was a genre novel, that would have been easier — I could find the forums and blogs. What could I say about my book? It was meant to be a good read with rounded characterisation and a strange story. Contemporary literary fiction is incredibly hard to sell — which is why mainstream publishers won’t take many chances on unknown authors. Here’s where it’s hard doing it on your own. Publishers have people who know how to sell books. Not only is it a full-time job, it’s an expertise – and while I can write and produce a book to professional standards, I know zilch about marketing it. When I ghost, the publisher handles the publicity — and it’s not even me fronting the book. So I’d never had to publicise a book at all. Even when you’re published under your own name, someone gets you reviews and appearances in places with a wide audience. Indies have to sell almost copy by copy. The biggest problems that indies have is getting in front of readers who might like our work. And quality writers find it hard to be recognised in the deluge of rubbish that’s been published far too soon. Some indies hire publicists. I haven’t looked into this because I don’t have a budget to make a good job of it — and I don’t think it would work for my style of fiction anyway. So my plan is for a slow-trickle campaign, keeping the novel out and about so that people who are curious about it will pick it up. James Scott Bell made a very interesting point in his interview with you. Too many people are now shouting about their titles all the time. That’s never been a good way to sell anything. I think we have to earn attention, not yell for it. Give extra value, be interesting — and only mention our books if they seem relevant. But if 2011 was the year that indies began to be recognised for quality, perhaps 2012 will be the year that we learn to market more gracefully. I don’t think either of my current titles will find publishing deals. But I’d be very happy with a traditional deal for other titles — especially for my fiction. Fiction is incredibly hard to sell. If you don’t have access to the right audience, you will not sell anything. Another of the things we all left behind in 2011 is the idea that publishing has to be exclusively ‘indie or’. Instead we’ll see writers who have some titles out in the conventional way, and others that they handle themselves. There’s a group I’m a member of called Do Authors Dream of Electric Books, which is a band of professional writers bringing out Kindle projects of their own. What advice would you offer for currently unpublished writers considering the indie route? How about for traditionally published authors considering switching? I always advise writers to go conventional first. Querying is the way to test if your work is up to standard. If you have near misses, they will tell you what you need to work on — and that advice is free. If you never hear or get form rejections, you’ve probably got a way to go and should probably work on your craft. An agent may end up not taking you on, and you may have to query a lot of them, but if you can’t get detailed attention from them at all you probably aren’t ready to publish on your own. If considering switching, first make sure you can do so within the terms of your contract. Talk it over with your agent — although some are more clued up than others. Your agent should think it’s a good idea if it will raise your profile in the long run and make a bigger body of work that readers will find. Some writers have contracts that were pre-ebooks. The publisher may offer for these rights but at the moment these offers are derisory. For political reasons they are applying the same overheads as for print. If it was me, I’d tell them I’d get the ebook done myself — and see what they come back with. You might have problems with artwork but there’s nothing to stop you getting a similar cover designed. This rush for more titles. Heavens, people, it takes time to write a good book. Take the time. You can’t undo a bad one — even if you can overwrite the Kindle file, your reputation is indelible. If you already have a back catalogue, that’s good, but don’t fling more books out for their own sake. In the UK we have very few options for epublishing. We can’t use B&N so our only option is Smashwords. I never got round to that as my efforts have been to get reviews on Amazon, so in my case there was no tradeoff. As for the principle, well it’s like any contract. We give you this if you give us that. Amazon are only trying it out to see what happens. You can’t blame them for that. What is worrying is that Amazon has got so powerful and has no competitors except for Smashwords. Lovely as they are, who has heard of Smashwords outside indie publishing? Not normal readers. I think Amazon have given us something amazing with KDP and CreateSpace, but they are a business and you have to wonder how long the golden era will last. As for whether it’s a good idea, my first reaction was that I wasn’t interested in giving my book away. But then I thought, I have my book in four episodes. So I enrolled episode 1 — and only that — in KDP Select and did the free promotion over Christmas. I’ve seen a big increase in sales because people who tried the first part are coming back for more, or buying the whole book. Amazon can’t read everything — imagine what that would cost? I think they’re doing their best by letting readers download samples to judge for themselves. There has always been a huge amount of reading available on the market anyway — go into any bookstore and you’ll see enough to keep you reading for years. What would help the most would be to have gatekeepers who will look at indie published authors and present them alongside those who are traditionally published. Roz Morris is a bestselling ghostwriter and book doctor. She blogs at http://www.nailyournovel.com and has a double life on Twitter; for writing advice follow her as @dirtywhitecandy, for more normal chit-chat try her on @ByRozMorris. 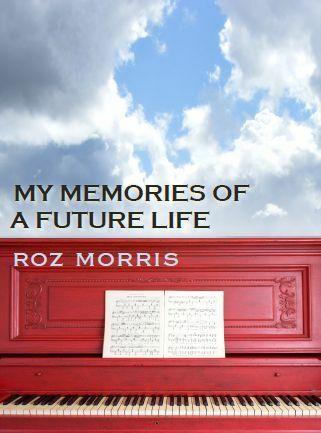 My Memories of a Future Life is available on Kindle US and UK and also in glorious, doormat-thumping print. You can also listen to or download a free audio of the first 4 chapters right here. Nail Your Novel: Why Writers Abandon Books And How You Can Draft, Fix and Finish With Confidence, is available in print and on Kindle. 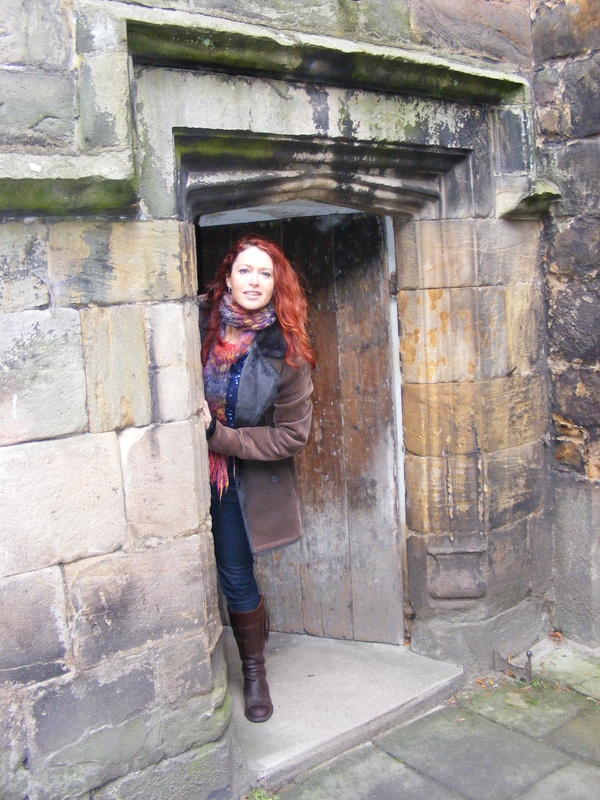 This entry was posted in indie interview, indie publishing and tagged roz morris. Bookmark the permalink. Thanks for having me here today, Jennie – and for allowing me to stay UK! I wonder how many twitches my English accent gave you? Great interview! Thanks for sharing your perspective! Thanks, Susan! Jennie asked some terrific questions that I haven’t seen explored before. You can tell she’s a journalist.